Want to add some unique and exotic elements on the wedding ceremony? 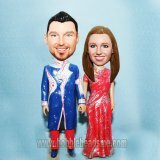 This custom wedding bobblehead a ideal item to fulfill your idea. Expecially the groom's scotland dress, every color was the clay color itself,every strip was sculpted by the skilled artist-never fade,preserve a lifetime. 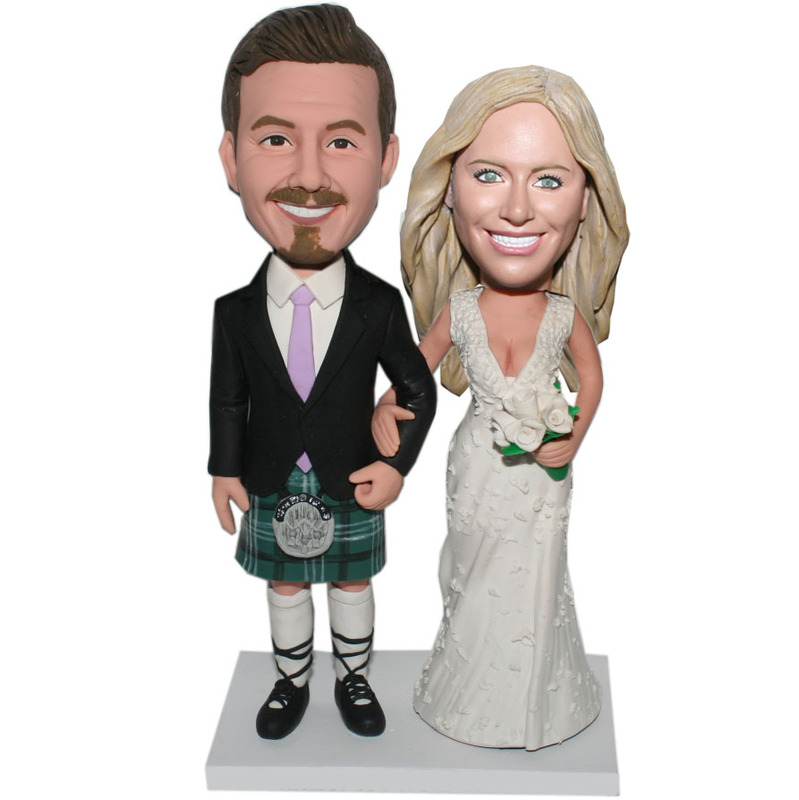 Not to mention this custom bobbleheads is perfect to be an everlasting memento for these occasions. The immortal moment just belong to you two.